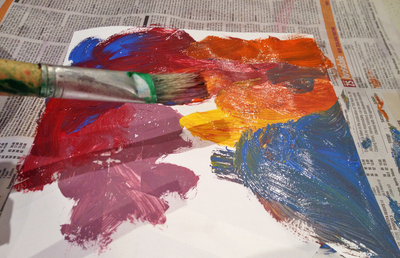 This painting activity can be adjusted to suit kids of any age. 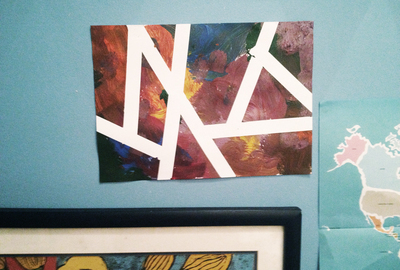 Younger kids will just have fun making patterns, while older kids can actually create prints to decorate their room. 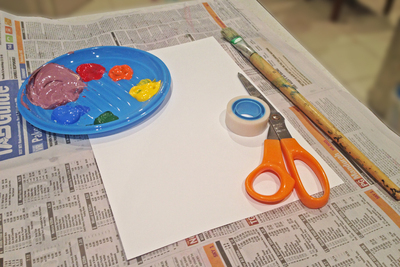 Place tape over the card or canvas, the bits covered in tape will be white, so you can use this time to plan your canvas. You could do simple stripes, or a chevron pattern, or just go a little crazy. 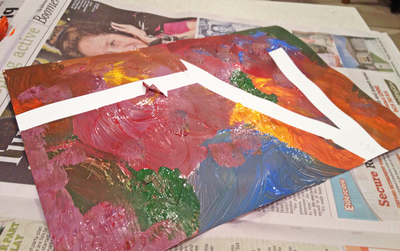 Once the tape is in place, start painting. You can use a single colour, or a combination of colours. 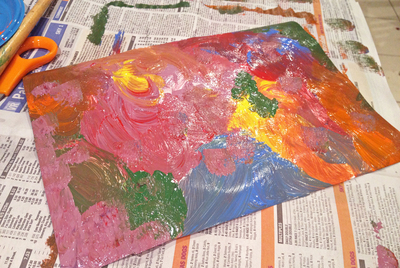 Younger children will just like messing around with paints, even if they get a little messy. 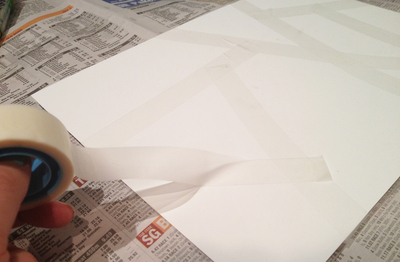 Leave the paint to dry before removing the tape. Otherwise you're more likely to get streaks. 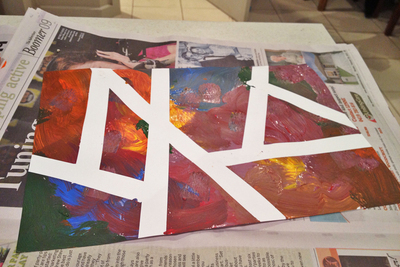 When the paint is dry, slowly start pulling off the tape. Your painting is now ready to hang. Put it in a frame, or hang it straight on the wall. The great thing about this is that you don't really need any artistic talent, just a bit of creativity when it comes to planning your pattern.